A couple of posts ago I talked about Folksy - the UK's online marketplace for modern British craft. As a longtime seller on this great website, I have seen it grow over the years, and there are now more makers and crafters on there than ever before. So as sellers, we think we need to share more of our wonderful items with the world. 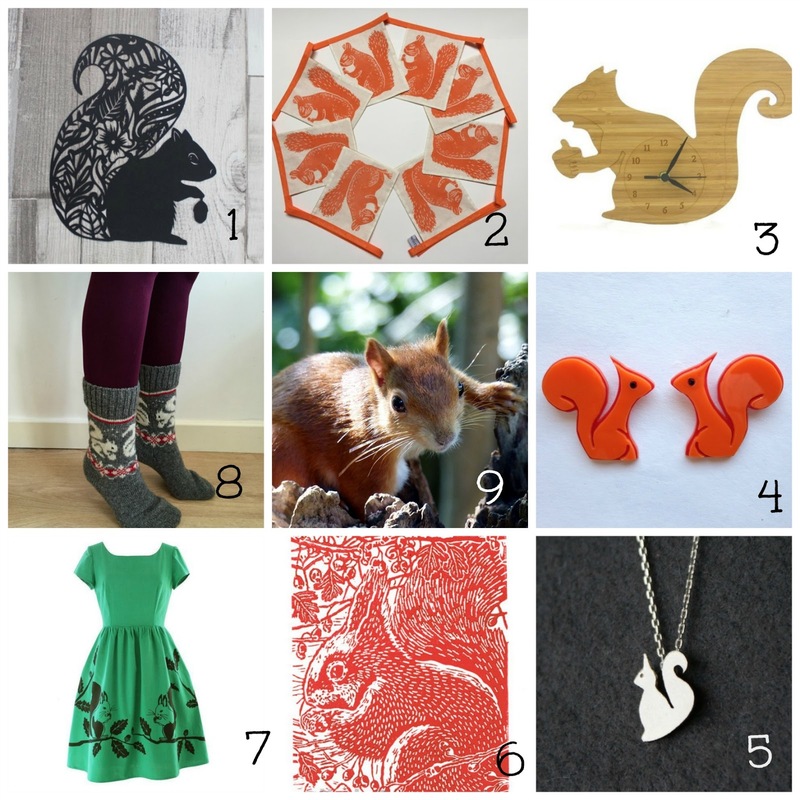 Etsy has #TreasuryTuesday, so we're having #FolksyFriday! Let's start with squirrels.... My mum has this very pesky squirrel living in her garden, if he's not eating all the bird food, (yes, I'm calling it a 'him') then he's digging up mum's freshly sown plants! That's not to mention the things she finds buried all round the garden.. last year she caught him burying a Cadbury's Creme Egg in a window box! So I thought I'd dedicate my first #FolksyFriday to this little critter, as even though he does drive her mad, I think mum would miss him if he wasn't there!